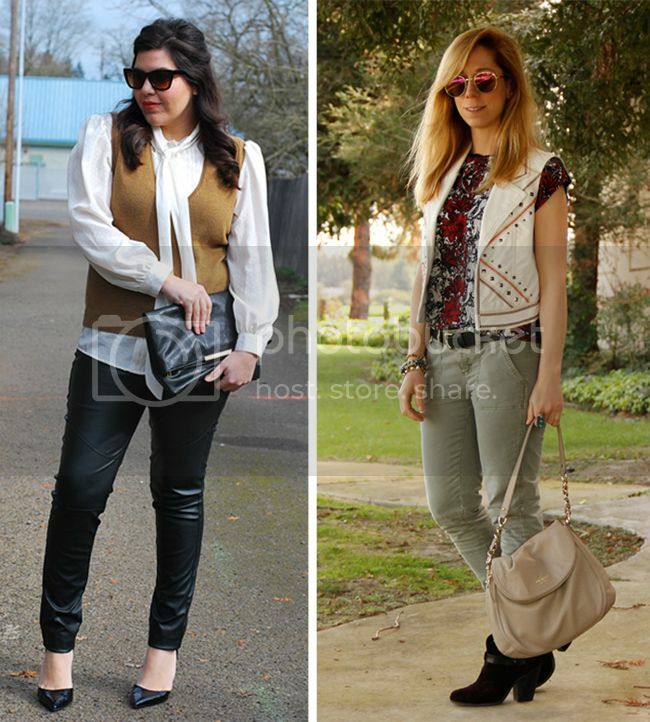 It's another installment of Twin Tuesday with blogger friend Toni, and this week, we're showcasing faux leather pieces. Here's a look at how we both wear the vegan-friendly fabric in two very different ways - preppy and embellished. While the words "faux leather" may conjure images of moto jackets, we're showing that it doesn't have to scream biker babe or rock 'n' roll. 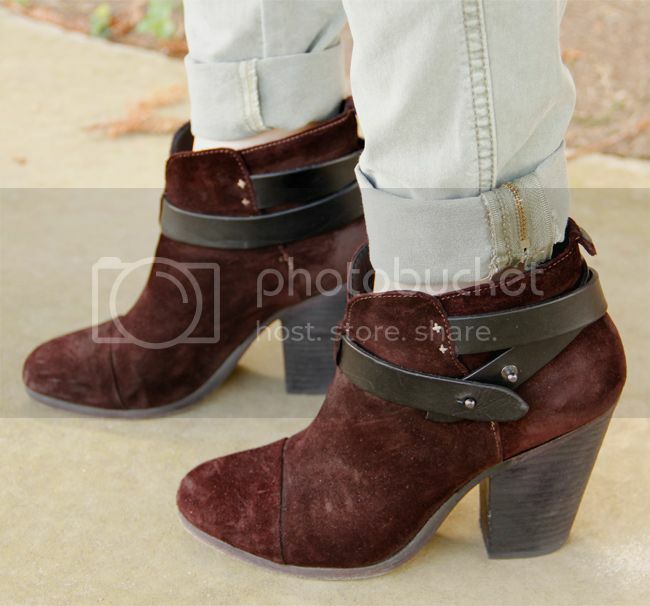 The best part about faux leather? It's vegan and practically waterproof. Toni epitomizes the feminine chic vibe with her sleek pumps, skinny trousers, and secretary blouse. Love the subtle edge that the fitted faux leather trousers add to her outfit. Have a peek at her blog for a closer look! The inspiration for my outfit was a relaxed global traveler vibe, so I dug up some oldies but goodies in my closet and combined them with a new pair of pants for some shopping last weekend. It felt great to give my denim a rest and opt for equally comfortable moto pants in a goes-with-anything shade of olive that I don't wear nearly enough. Watch this space for a fun and creative twist to Twin Tuesday featuring a retailer that Toni and I both adore!